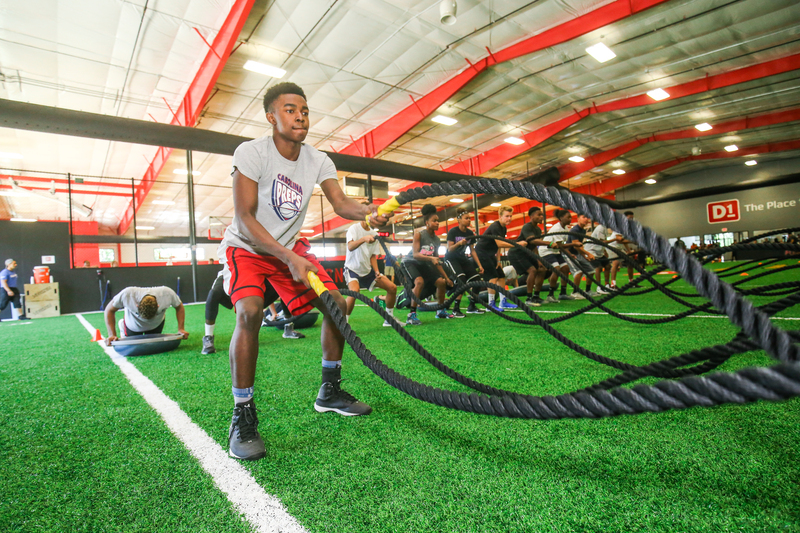 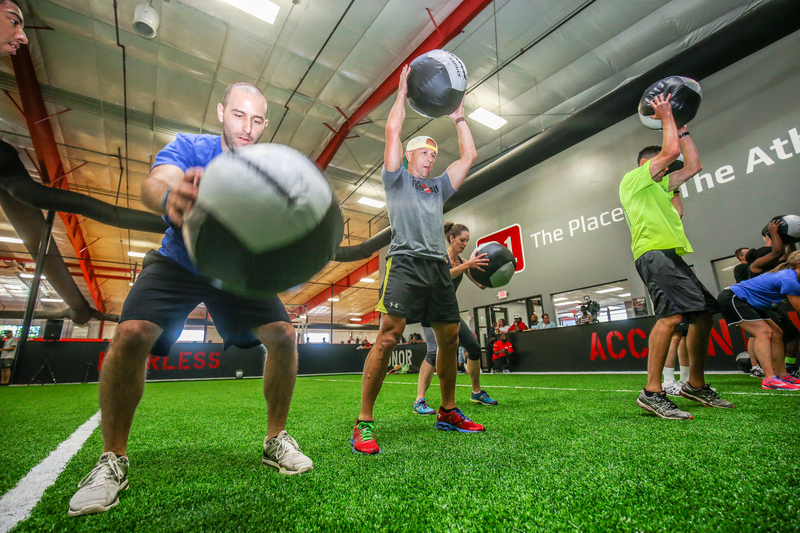 D1 Sports is a nationwide provider of sports training services designed to help athletes improve athletic strength, conditioning and performance. 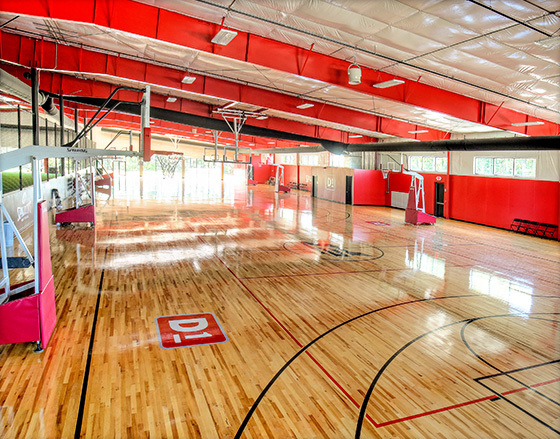 The Recreational Group has enjoyed a long relationship with D1 and Lanmark Designs is proud to have assisted with the design of many of its facilities. 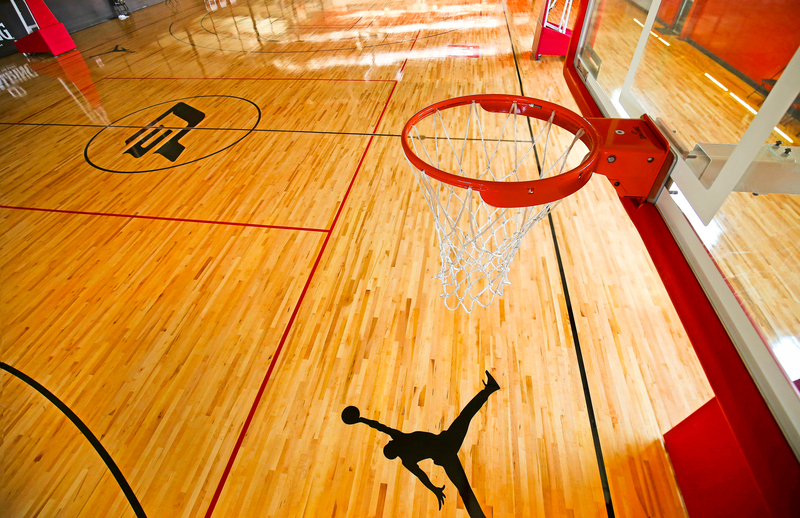 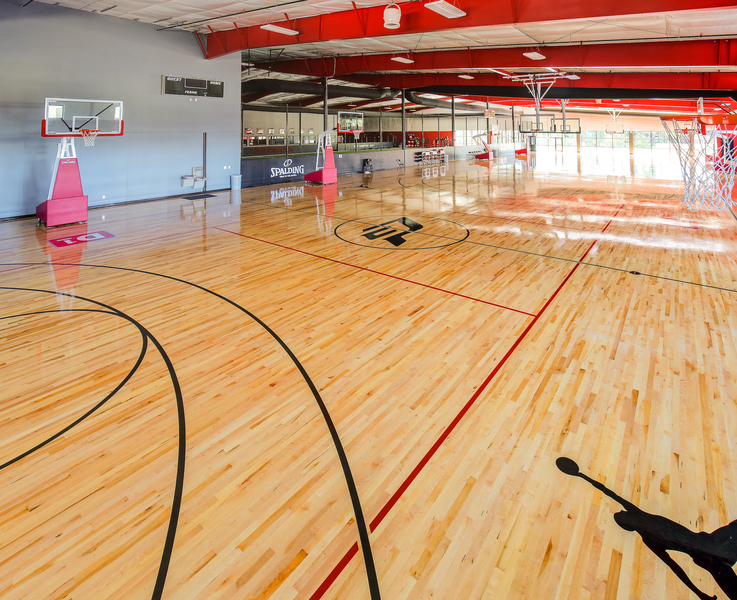 Working with Play On Courts and VersaCourt, we have experience designing and integrating all types of wood, synthetic and tile courts into a facility. 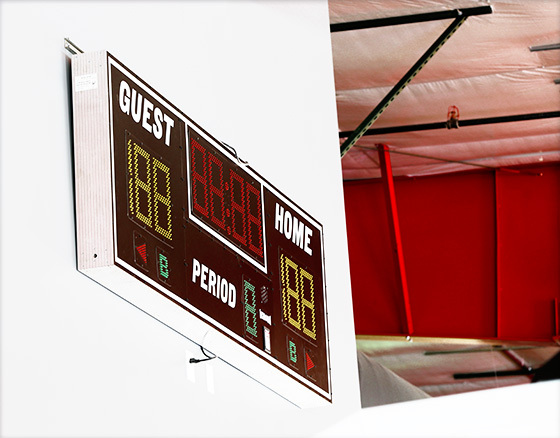 We can not only help specify the best surfacing options for each space, but we have the knowledge and industry relationships to properly outfit courts with goals, scoreboards, pads, floor covers, bleachers and more. 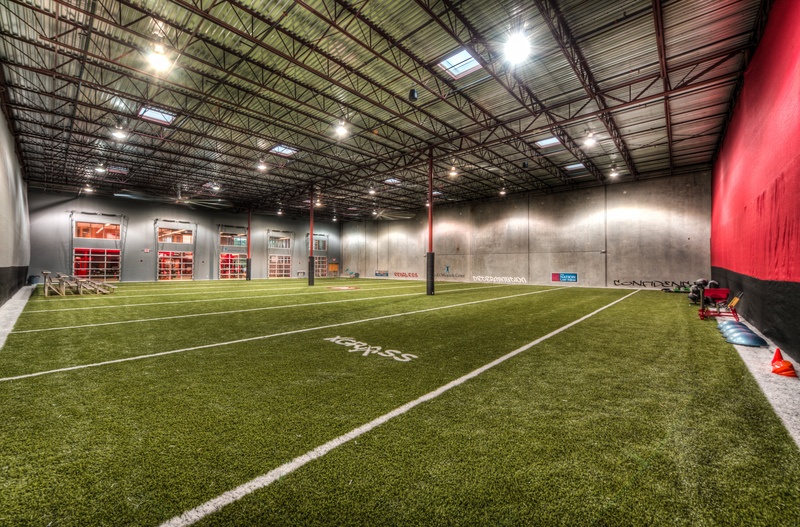 To provide its athletes with a high-performance, durable and safe indoor surfacing solution, most facilities are outfitted with an indoor training field. 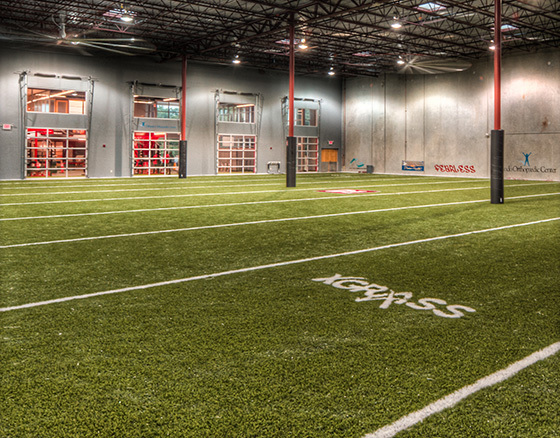 For these surfaces, we typically specify XGrass Performx, a synthetic turf system designed specifically for sports fields that stands up to extreme strength and conditioning training of D1 athletes. 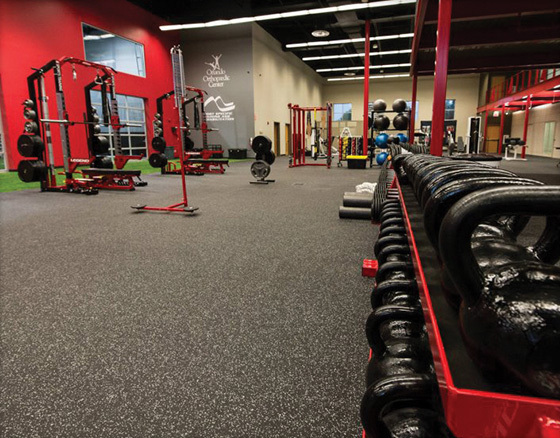 From heavy compound floor movements to intense cross-fit rotations, D1 athletes need to train on the finest rubber surfacing available. 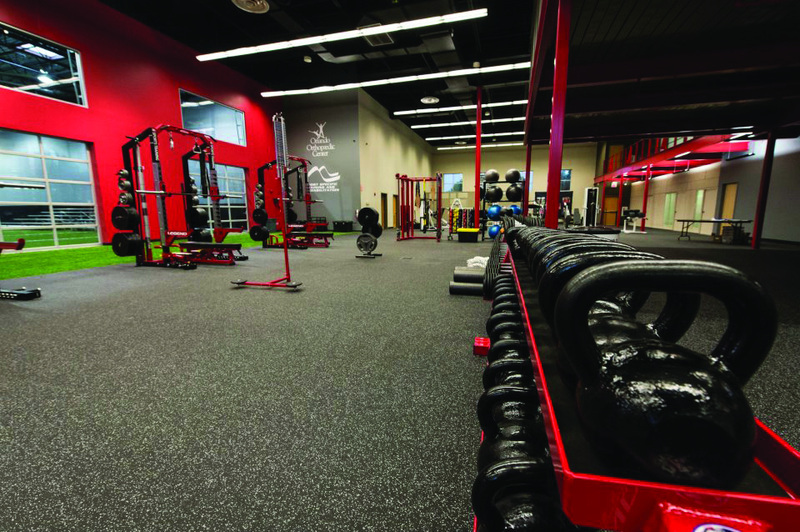 Working with Play It Surfacing, we at Lanmark Designs outfit the fitness areas of most facilities with a high-performance rubber flooring chosen not only for its exceptional durability and resilience, but also for its versatility. 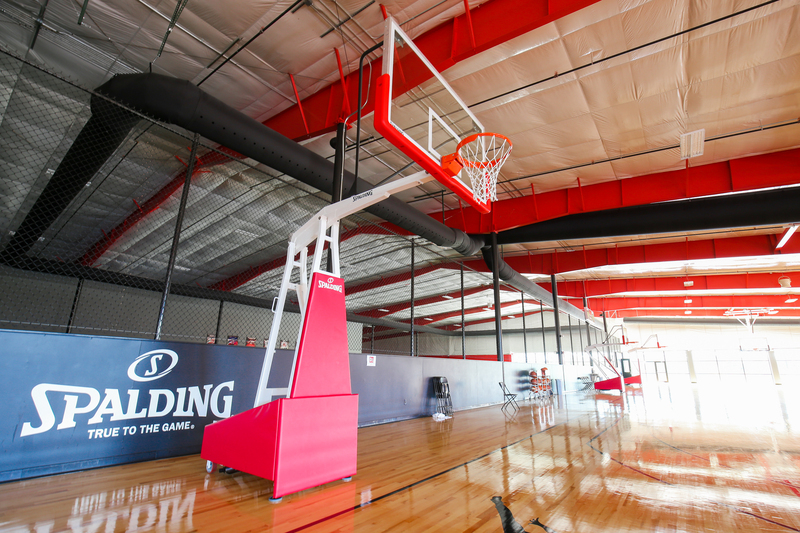 Working with the staff at Play On Courts, we also work with D1 facility owners to plan, supply and install all of the necessary accessories to properly outfit each facility to meet all of their training and activity requirements. 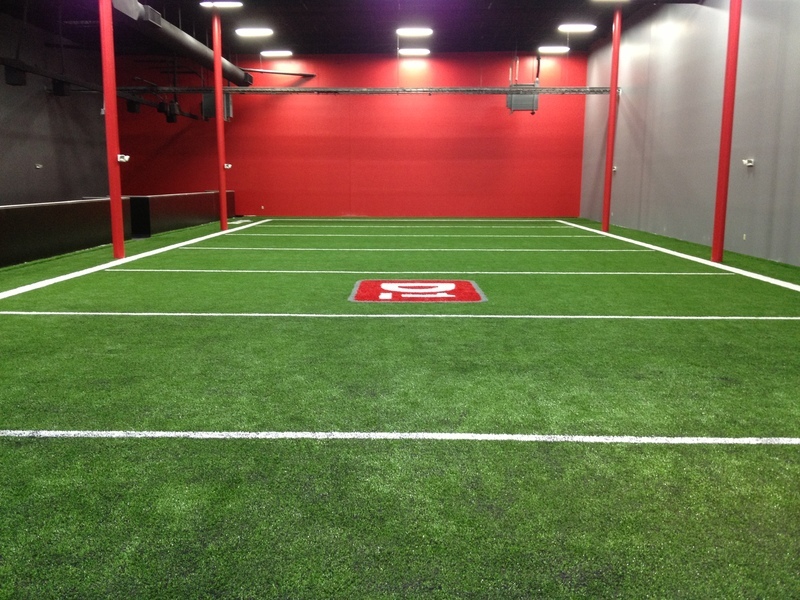 All athletic equipment we specify is designed to stand up to heavy use and the intense competition of D1 athletes.